I just run into an interesting article on building a custom front end on OEM Chargeback using APEX by Craig Sykes. However as we know that Oracle 12.1.02 comes with a mandatory Grid Infrastructure Management Repository database (the MGMTDB database) it to my opinion makes sense to monitor it using Oracle Enterprise Manager. 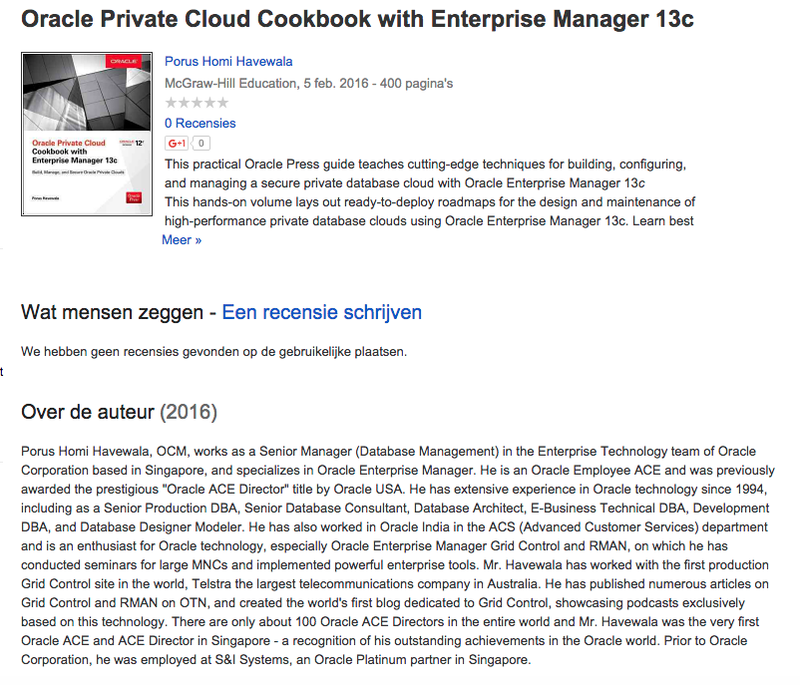 This is what I found on Amazon.com and Oracle Books…. 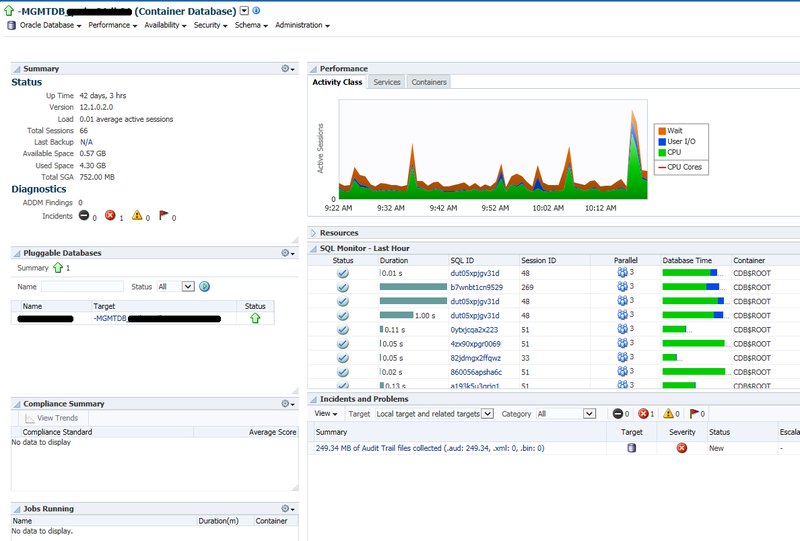 When you are into SOA Suite 12c and want to setup monitoring in EM12c, take a look at this article on http://www.qualogy.com/soa12c-monitoring-em12c/ written by Michel Schildmeyer. Enterprise Manager Cloud Control now provides you with a single pane of glass for monitoring and managing both your on-premise and Oracle Cloud deployments, all from the same management console. By deploying Management Agents onto the Oracle Cloud virtual hosts serving your Oracle Cloud services, you are able to manage Oracle Cloud targets just as you would any other targets. This video walks you through the process of deploying hybrid cloud agents to monitor Oracle Platform Cloud Services.